HOW LONG DOES IT TAKE FOR CONSTRUCTION TO BE COMPLETED? Our timeline from start to finish is two weeks. This timeframe is an estimate subject to weather and the size of the building being built. This timeline includes the time needed for pouring concrete, construction and having overhead doors installed. WHAT KIND OF OVERHEAD DOORS DO YOU USE? We use commercial style, steel overhead doors made by Mid America. Doors come white in color however, custom colors are available upon request. You can also choose insulated or non-insulated doors in a variety of sizes. A one year original manufacturer’s warranty that backs the metal, trusses and lumber that we use. Yes. It is the responsibility of the customer to check with their county to obtain the correct permit. This is typically an easy process and our sales team is here to assist you if you need help. Certain counties may require engineered drawings in order to obtain a permit. Our architects can provide you with the drawings at an additional cost. However, if you are building within Tulsa County, we can provide you with the drawings at no additional cost. We service the entire state of Oklahoma and parts of Kansas, Texas, Missouri and Arkansas. HOW LARGE OF A BUILDING CAN WE BUILD? Standard is up to 50 feet wide and any length. Anything above 50 feet wide normally requires another set of poles down the middle for support. CAN WE CHOOSE OUR COLORS? Yes. You can choose up to three colors for your building, roof, walls and trim. See our color chart for options. WHAT GAUGE METAL DO YOU USE? Our buildings are built with 29 gauge metal on the walls and roof. If building codes require 26 gauge on the roof, we will accommodate this at no additional cost to the customer. WHAT DO I DO IF MY LAND IS NOT LEVEL? Dirt work and leveling will need to be completed prior to building and are not included in your building quote. You can use your own contractor or ours. Upon contract signing, we can send our contractor out for a site survey and an estimate. If you choose to use our contractor, you will sign a contract with him and pay him directly. We highly recommend our contractor. He gets the pad perfectly level, correctly packed and his prices are very competitive and fair. WHAT IS THE STRUCTURE OF YOUR BUILDINGS? Meadows Buildings builds quality, wood frame buildings with metal siding. No but we can recommend a bank that is easy to work with. They offer a quick pre-qualification process at the best interest rate possible, require no equity or appraisal and there are no pre-payment penalties. 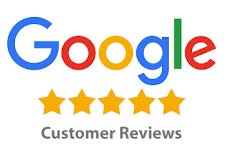 Many of our customers have used them and have been very happy. WHY SHOULD I CHOOSE MEADOW’S BUILDINGS? Meadow’s Buildings has been in business since 1997. We have over 21 years of knowledge and experience in the building industry along with hundreds of satisfied customers. We are fully licensed and bonded and a member of the Home Builders Association Of Greater Tulsa. We are also Better Business Bureau Accredited Business. Our track record and customer satisfaction speak for itself. Give us a call or click on our contact link. We can give you a free quote via phone or email. You can also come visit us at our beautiful headquarters in Catoosa, OK. We have a display building on our lot for you to check out and see how your barn will be built. Our friendly staff is available to discuss building options and provide you with a hassle free experience. Upon signing a contract, we require a $1,000.00 deposit. Deposit will be applied to the price of the building.